I went for a little walk at dinnertime but I didn’t spot any dogs, I did get some fresh air though! I walked around the block when I arrived at Ethan’s nursery but I didn’t spot any dogs so I went in to pick up Ethan. 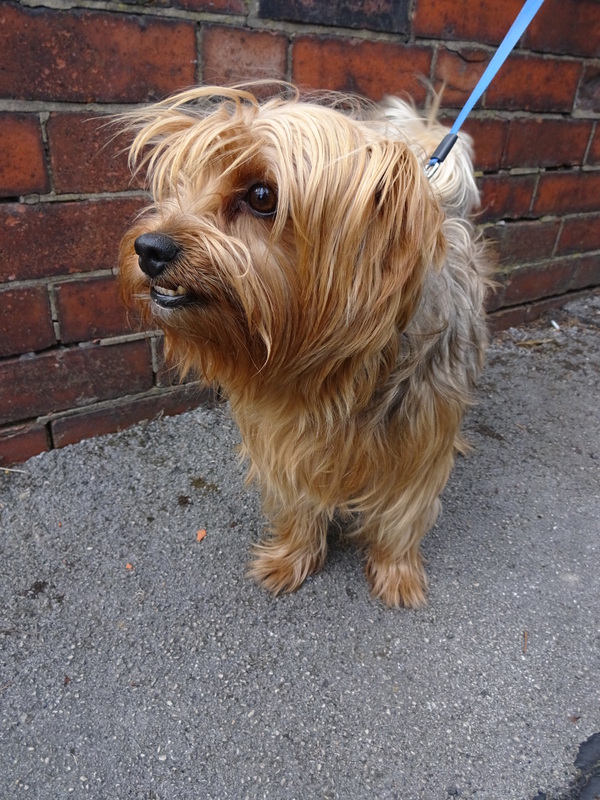 I was just getting Ethan in the car when a man walked past with a very cute Yorkshire Terrier. Charlie was very friendly, Ethan was very keen on him! Charlie originally lived with his current human daddy’s granddaughter but he stayed with Granddad for a couple of days which turned into 5 years! Favourite toy: Charlie has a Basil Brush and Daffy Duck toy which he likes to cuddle up to! Favourite pastime: Being a pest!